PAconnect's Communications Infrastructure division designs and builds data and voice cabling systems including intra and inter-building connectivity networks. 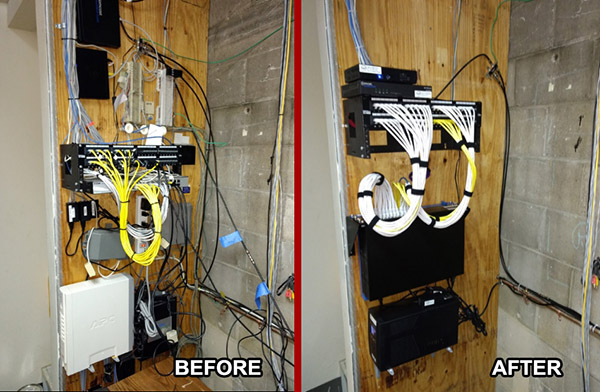 We provide network equipment installation, patching and documentation. Whether it’s coaxial, twisted pair, or fiber optic cabling, or installation or relocation in support of a data, voice or video system, PAconnect makes it happen with minimal interruption to business operations. Our expertise in the design and installation of data, voice and video communications subsystems brings our customers the latest telecommunication innovations. Training of our field technicians, project managers and project engineers is ongoing to assure PAconnect is on the cutting edge of communications technology and to enhance the quality of our work, product and services. Contact Us Today For Our Free No Obligation Estimate!